I remember being enthralled on my first visit to The Cathedral of the Immaculate Conception in Cuenca, a UNESCO Heritage site known for its ornate churches and 16th and 17th century French republican and Spanish colonial architecture. I was awe-struck by its gold-embossed sanctuary and massive baby blue mosaic domes that are the hallmark of Cuenca’s historic downtown. As I listened to the choir singing lyrical chants, I remember thinking it was nearly a perfect moment, until a nun gave me a disappointed look and admonished me for wearing a hat. In Florida, where I attended church, wearing a hat was a sign of respect–but in Ecuadorian churches, it’s an insult to cover your head in the presence of the lord or anyone else for that matter. I wish I would have known better. Recently, I sat down with my long-suffering Spanish teacher, Lucia Siguenza, who along with teaching me correct pronunciation also coaches me about the culture, so I won’t embarrass myself or be scolded by nuns. Cuenca is a modern city of approximately 700,000 people, of which 7,000 are expats. The picturesque city is nestled in the Andes mountains and surrounded by four rivers. One of the best things about the culture is how tranquilo (quiet) it is. People take time to enjoy life and nothing is rushed. But this can prove difficult for expats that have rushed through life and nearly forgotten how to stop and smell the roses. So, understanding the culture is imperative to enjoying it. 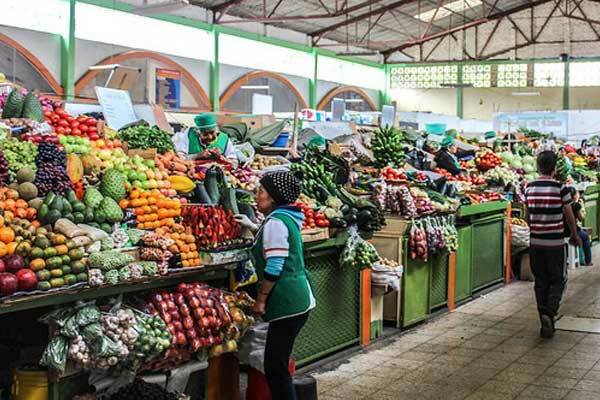 Ecuador is a highly stratified society with strong socioeconomic and political ordering. The two predominant cultures are: indigenous people who speak Quichua, wear colorful embroidered clothes and felt stove-pipe hats, and cultivate nature into their beliefs; and Spanish descendants who speak Spanish and are mostly Catholic. The culture is further divided by a class system and locals treat each other differently according to their station in life. If you are lucky enough to be a Spanish descendant of the alto (highest) class, your last name (like Crespo, Borrero) is your pedigree for life. These Ecuadorians tend to still abide by “Downton Abbey” rules, rarely interacting with the maid or gardener or others in the pobre (poor) class. The medio (middle) class is the professional, mostly Spanish-descendant middle class, and is largely made up of doctors, teachers, dentists, lawyers, and other professionals. The classes do not usually mix socially. Power and control are associated with being blanco, so expats, with our blond hair and pale skin, are seen as upper class and a novelty so all classes tend to seek us out. The most important take-away is to understand how each of these classes will differ in how they will treat you. The pobre will rarely make eye contact with you in deference much less invite you into their homes, the younger and career oriented middle class will want to do business with you and are open to socializing, and the rich upper class mostly stick to their own kind, so you may never meet them. Just remember, if you do get invited into an Ecuadorian home, you will be treated either formally (alto) or informally (medio/pobre) and you may be eating cuy (Guinea pig) or steak depending on who invites you to dinner. In New York, you flag a taxi by virtually jumping in front of it. But if you are waving your arms like you’re on fire, don’t expect an Ecuadorian taxi to stop for a crazy white guy hurling themselves at them. Basically, the protocol is to simply wiggle your hand softly at waist length and patiently wait. For $3, taxis will take you just about anywhere in town and are plentiful. I always give a reasonable tip, but that’s not required and the meter in the taxi will show exactly what is owed. It’s not unusual to be extended an invitation for dinner by your neighbors or Ecuadorian friends, and it’s an insult if you don’t say yes. When you’re invited for dinner at 7 p.m., remember, it’s a suggestion. This is a case where punctuality is not an Ecuadorian trait so coming 15 to 30 minutes late is the norm. Bringing a nice bottle of wine or a dessert is appropriate. The host will show you where to sit at the dining table, so you don’t take someone’s favorite spot, and cues when it’s time to start eating. Usually people over 50 tend to be more religious, so if there is a prayer to be done, again the host will cue the guests. Be prepared to almost spend the night as dinners last until the last person falls. Depending on the class of the person, the event can be very different. My friends who live in a barrio outside of town were invited to dinner where they were served grilled cuy on a stick. It’s also an insult not to eat the cuisine. Their hosts demonstrated how to dig in with their hands and pick apart the cuy (something we should all know). They chased the cuy down with beer and said the evening was one of their best times in Cuenca. The alto class tend to have more formal dinners, featuring gourmet beef, pork, or chicken dishes with bottles of fine wine or whiskey served. But no matter what each class is serving, they all share the same definition of fun, so be prepared to stay up late. Business hours can sometimes be more of a suggestion than an actual timeframe. That’s because this culture still abides by the siesta hours of 1 p.m. to 3 p.m. and many stores close during those hours and on Sundays. Also, don’t be surprised if you go to your favorite store or restaurant and find it closed. Family and fun still comes first in Ecuador, so if there is a big soccer game, or their child is in a school pageant, then the store will close for an arbitrary amount of time. Workers also adhere to the mañana rule–which means they will be there “tomorrow”–but they don’t tell you which tomorrow. “I’ll be there in 15 minutes” means 15 minutes after whatever they are doing whether it’s visiting friends or finishing a job. Once you learn to take “exact time” out of your vocabulary, you will find some things are more important than being prompt. Ecuadorians are romantics, so physical contact is an important factor in informal greetings between friends. When you walk down the street, the proper way to say “hi” to people is buenos dias (good morning), buenas tarde (good afternoon), and buenas noches (good evening). For formal greetings, especially when addressing someone over 50, it’s best to add senior or senora and offer a hand shake. When you run into someone you know, informal greetings suggest a quick air-kiss on the left cheek or a hug. Do you habla (speak) English? Four years ago, when I first arrived in Cuenca, few locals spoke English. 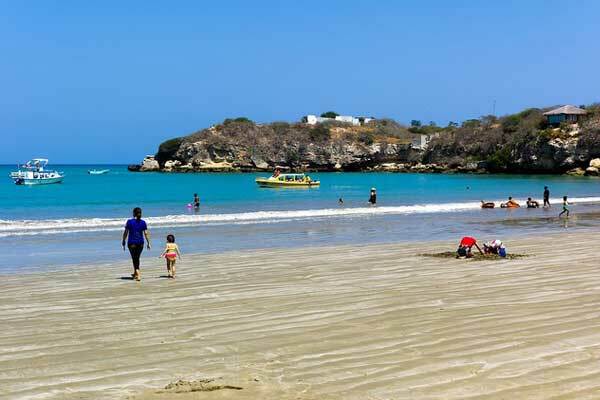 With the government enacting a robust effort to teach English in the schools and the hospitality industry, speaking Spanish is becoming less of a requirement for visitors. But Spanish is still the predominant language, so finding a way to converse is important when looking for a banos (bathrooms) or your hotel location. Putting an app on your phone that will help you translate key phrases and practice your charades helps. Out of respect try and speak some Spanish so Ecuadorians know you’re trying. They are wonderful at “kind corrections” of your Spanish. 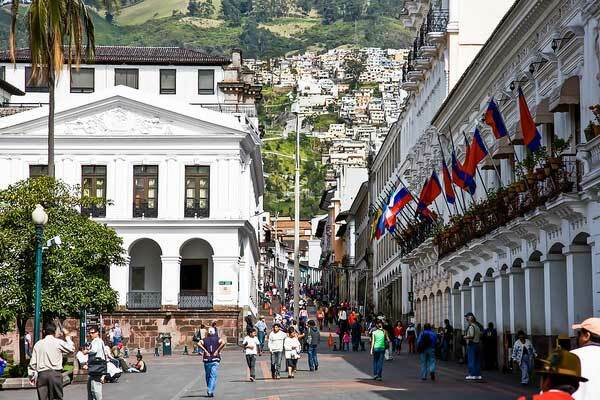 Also, now that Cuenca is becoming a thriving tourist destination, bilingual Ecuadorians working in the United States are returning home to take hospitality jobs. But being able to speak a few Spanish phrases is still important. The Ecuadorians are a little too sweet for their own good, and really want to please the people visiting their country. Which is fine, unless you’re asking for directions. Ask an Ecuadorian directions and they will point you the way…but not always the right way. Sometimes it’s a language barrier and sometimes they just don’t know the location because the town has grown so quickly. Even taxi drivers navigate more by landmarks than street names. It’s important to write down the location’s address and phone number in case you need to call for directions and print a google map if possible. 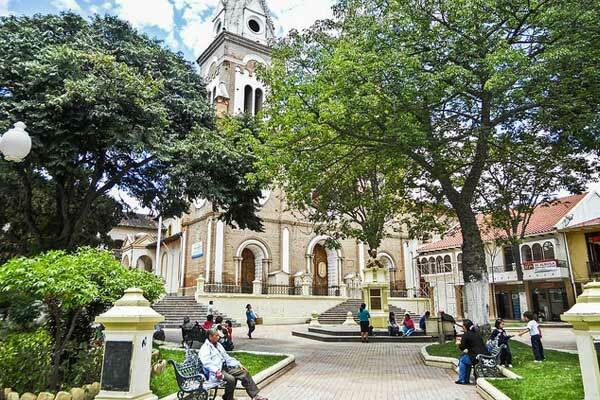 Families are tight-knit in Cuenca, and it’s not unusual for three generations of families to live in large, family homes. The families frequently lunch together and almost always eat dinner together. Weekends are preserved for family outings at one of the many parks scattered around town. Sundays are for church followed by large family dinners that include extended family members. Families celebrate holidays together, and frequently open their homes to expats. Cuenca has lots of almerzo’s–$3 lunches, which include a portion of meat, French fries, rice, a saucer sized salad, and popcorn as an appetizer. For a few dollars more, restaurants catering to expats can rustle up great burgers, stacked sandwiches, and international foods like Italian, Mexican, and Thai. Although tipping is not entrenched in the culture, it’s appreciated but is often included in the price. Service is usually slow, because meals are as much about the conversation as the food. 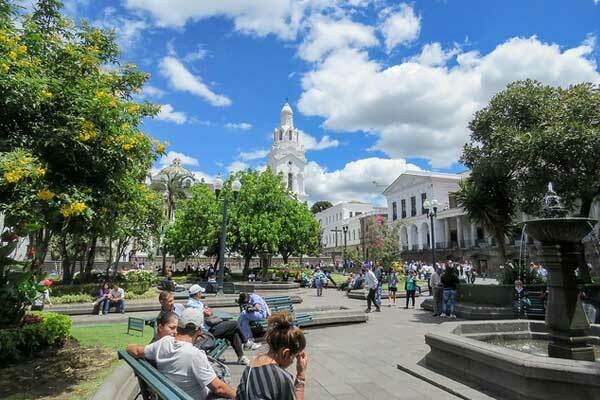 Because Ecuadorians are fun-loving, sweet people who are intrigued and inspired by European and North American cultures, you’ll find they are very interested in befriending you. And no matter whose home you are invited to, the type of food may change, but not the warmth you will experience from these ebullient people.